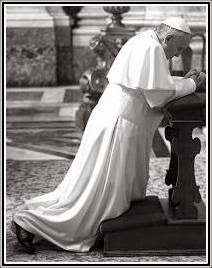 Il Coordinamento Nazionale del Summorum Pontificum reports that out of 33 sites where the Franciscans of the Immaculate had offered the Traditional Latin Mass daily or weekly before July 11, only 3 still have this Mass. More specifically, the Vetus Ordo had been said daily, or at least weekly, in almost all the houses of the Franciscan Friars of the Immaculate in Italy. In addition, it was celebrated in parishes entrusted to the friars, namely, the parishes of All Saints' (Ognissanti) in Florence, Santo Spirito in Ferrara, S. Maria Maggiore in Trieste and S. Domenico in Teramo. The Vetus Ordo was also celebrated by the friars in the Santuario della B. V. Addolorata in Campocavallo, the FI's Seminary in Sassoferrato, and in Santa Maria Annunziata in Borgo in Rome (the Nunziatina). After July 11, by order of the Apostolic Commissioner, the Seminary in Sassoferrato was closed (as Rorate earlier reported) and another three houses suppressed (in the Diocese of Albenga-Imperia, where the bishop had tried to support the friars in trying to retain the Traditional Latin Mass, as reported in numerous sources). In the remaining places where the FI had offered the Vetus Ordo before July 11, only the Ognissanti in Florence, S. Domenico in Teramo, and the Santuario della B. V. Addolorata in Campocavallo still have them. Requests to continue the celebration of the Vetus Ordo in the other sites were refused by the Apostolic Commissioner. A brief English notice relaying the same news can be found here; this page also appeals to readers for information on the state of TLM sites formerly run by the FI in countries outside of Italy. 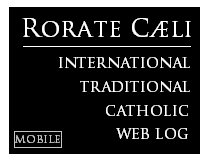 Please, also send this information or corrections to Rorate for a fair and accurate future report on the status of FI-kept Traditional Masses in Italy and throughout the world.